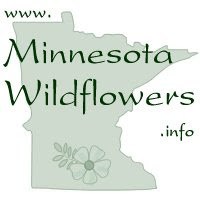 Common Boneset is a wonderful native perennial for sandy, moist soils. Flowering a little earlier this year (like almost everything else), Boneset is a four foot tall, upright plant with hairy leaves and stem. 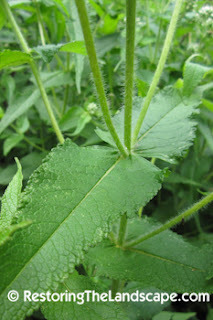 The leaves surround the flower stem and are held outwards horizontally. In our landscape, they make a nice perch for tree frogs watching the visiting insects above on the flowers. 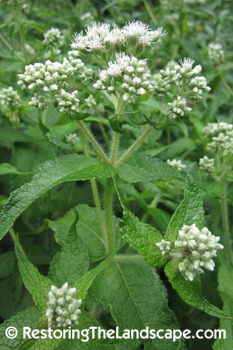 Common Boneset is found along shores in moist soils as well as low lying wet areas in prairies in full sun. 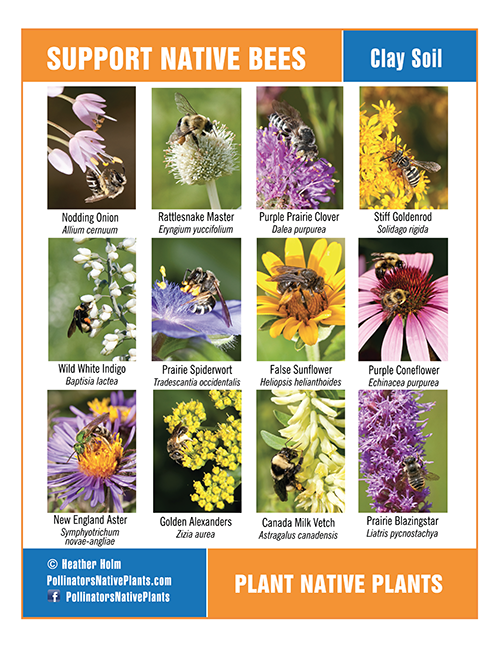 It's a good candidate for rain gardens near the input where there's adequate moisture during rain events. The white flowers are numerous and packed into a somewhat flat flower head. 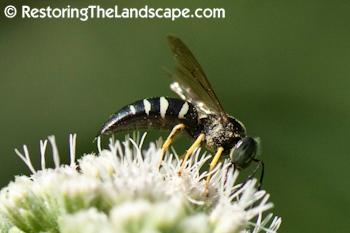 They don't seem to be as attractive to butterflies, but many wasp, bee and fly species will cover the flowers. 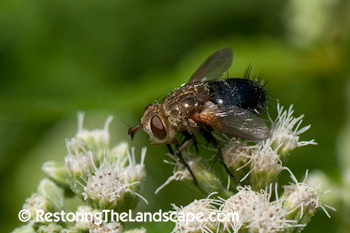 These Tachinid flies with their long hairs protruding from the top of their abdomens love Common Boneset and Culver's Root. 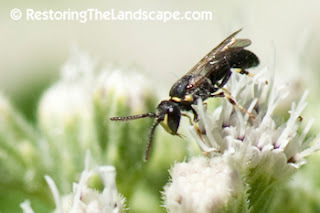 Tiny Yellow-Faced Bees (Hylaeus species) visit the flowers regularly. 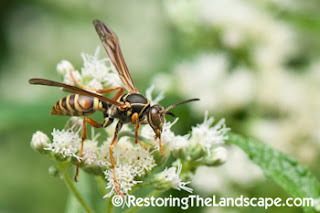 Both the large Northern Paper Wasps and Bald Faced Hornets also seek out nectar from the flowers. 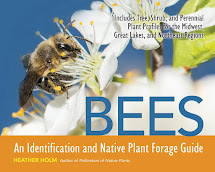 Common Boneset is native to eastern North America. 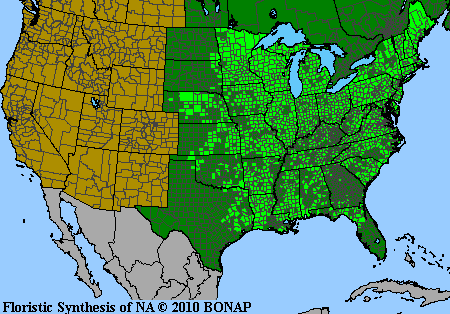 See map for range.